As we round out another year, I look back at everything that has happened this year with computer security, especially in the Apple sector. We can look back at WannaCry, the ransomware attack that ravaged Microsoft systems across the world in May. It infected around 300,000 computers and over 200,000 victims. This was quickly followed by another piece of ransomware called Petya. In March, a data trove of 8,761 documents were posted to Wikileaks, which was entitled "Vault 7," a collection of stolen documents containing documentation of alleged spying operations and different hacking tools. This doesn't even take into account the massive amount of DDoS (Distributed Denial of Service) attacks against companies and individuals. Last but not least, we cannot forget the massive data leaks in the past few years, which includes but is not limited to Equifax, Target, Sony, Yahoo, Ashley Madison, Adult Friend Finder, and last but not least, Stuxnet. With all of that being said, although not all of these attacks were done specifically to the Mac operating system, some of them did. Because of that, we have compiled a list of the top security tools of this year. They weren't all produced this year, but they are the security tools that I use daily and trust whole-heartedly. We will also recount some of the biggest tricksters and liars of the year as well in our next blog post. If you are interested or have questions about any of this years top security tools, please let me know. Send me an email at stuart@crashsecurity.com. NordVPN is my favorite VPN (virtual private network) I've used thus far, and I have tried quite a few. I've tried quite a few, and after being disatistfied with the price of the last one I used, ExpressVPN, I moved to NordVPN. I learned of a great comparison site called That One Privacy Site that provides a breakdown for tons and tons of VPNs. To sum up VPNs, they encrypt your IP address, so you can remain relatively anonymous while browsing the internet. With how many different things I research, I have to use a VPN. NordVPN is one of the top rated, and it also has great reviews. You can choose where you want your IP address routed through, whether it be Canada, Europe, Asia, or anywhere in between. Sign up for the two-year plan for $3.29/month. This suite of tools allows you to send encrypted emails using the program, GPG Suite. Although it may seem as if your email is impenetrable, it isn't. This tool can be tough to configure, but once completed, it is an amazing application. It allows you to give your public key to others, in which they can send you encrypted messages. The only way to see those messages is by decrypting them with your private key. It uses an encryption called OpenPGP, PGP standing for Pretty Good Privacy (no joke). Using a server, you can access your friend's public keys to send them emails when you need or want to do it. It is a plug-in for Mac Mail, so if you use a different email client, you may have to download a different tool. This is available for macOS 10.9 and higher. Read more at their website which is linked in their title. Little Snitch is a network monitoring tool that makes your connections visible. You can allow or block certain connections, as well as set parameters about the connection. Say I want to do an Adobe update, but I only want my computer reaching out to Adobe's server address for 30 minutes, I can set the parameter to allow the connection for 30 minutes. After that time expires, the connection will be blocked. You can also block a site for a certain amount of time or "Forever." Same goes with allowing websites. I allow my computer to connect to the iCloud server "Forever," as I constantly have things syncing with my iCloud account. Little Snitch also now has a companion piece of software called Micro Snitch, that monitors your computers camera and microphone and will alert you when they go active. This piece of software, I have found not as useful, and I will explain why a little further down this article. ClamXAV has, for years, been my favorite antivirus on the market for multiple reasons. One common issue with running antivirus on a Mac is live-monitoring. For quite some time, ClamXAV did not support live-monitoring, and it was instead a simple, powerhouse antivirus scanner. If you run this program as just an antivirus scan, it will bog your machine down, but I would simply set it up at night, and allow the scan to run while I slept. When I woke up, it had a list of all of the issues it may have found. I could then immediately put them in my Trash. What ClamXAV has released more recently is ClamXAV Sentry. It is a live-monitoring piece of software that I set up to monitor specific folders. Obviously, the folder most likely to get infected on your computer is your ~/Downloads folder. Anything downloaded from the internet will typically download here. I have it monitor my Downloads and my Desktop, as well as a few hidden folders. Most every-day users would not need to worry about the hidden folders, but because of how much I play with malware, I set it up to scan that anyway. So why do I like ClamXAV over Norton or Sophos or McAfee? Well, those programs live-monitoring are extremely CPU-consuming. I find myself getting angry with how slow it makes my machine run. With ClamXAV, I've never had that problem. ClamXAV is also one of the quickest AV engines to find new malware in the wild, so I cannot recommend it enough. There is a free trial, but it is now a paid program, and I think it is well worth the $29.95. 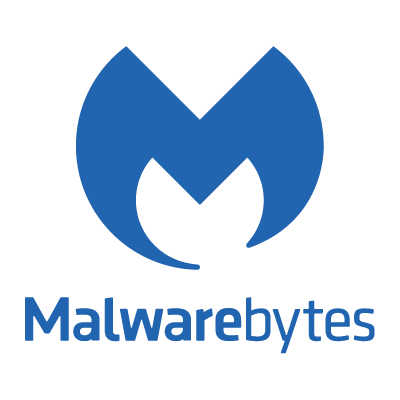 Another amazing malware remover and antivirus, Malwarebytes. For many years, Malwarebytes stuck pretty specifically with malware and something referred to as PUPs (Potentially Unwanted Programs). More recently, they have begin diving into the AV community, and with each update, Malwarebytes and ClamXAV get more and more similar as far as what they do. Malwarebytes for Mac was a program that I used often to help rid people of unwanted programs and adware. We will dive into some of these PUPs in our next blog post, but Malwarebytes was always there, and it would always remove the program fully, not leaving behind any files, no matter how deep they were buried in your system. Malwarebytes recently released Malwarebytes Premium 3.0, which is not only a malware scanner, but an antivirus software with "Real-Time Protection," which is like their version of live-monitoring. I got this upgrade immediately, and although there were some bugs early on with the program utilizing large amounts of memory, sometimes even when the program wasn't running, those bugs have since been resolved. Malwarebytes is also touted as one of the top antivirus scanners. Take the image below. This shows live threats that Malwarebytes, for Windows and Mac), is catching. It also shows threats that it caught that other antivirus softwares did not. This was a screenshot I took less than two minutes into this map populating in real-time. I can't imagine what it would look like if I allowed it to run for hours on end. Malwarebytes is now the company to beat when it comes to antivirus. They are also one of the first companies to catch new threats, and they keep very busy on social media platforms for support and tips. You can download the free or paid version. They also frequently blog about security issues, which I highly recommend reading. They are very up to date on everything that has to deal with computer security. Objective-See and creator Patrick Wardle has been pumping out free application after free application for years now. No, they don't have one app, they have OVER 10! First, Oversight, one of their newer applications, does the live-monitoring of your computer camera and microphone. As I mentioned earlier, Micro Snitch does it as well, but anything produced by Patrick Wardle is going to be some of the best software out there. It is easy to run, is easy to set up, and it just runs in the background, using virtually no CPU or memory. It is fantastic. You can allow or block connections when they are coming in, so you will instantly know if someone is using your camera without your permission. In addition to this, they've added another application called BlockBlock, which monitors common persistence locations on your computer. This would be the locations malware may install. Another application, Ransomwhere?, helps stop ransomware from making you a victim. It notices when something is encrypting your files, and you can either approve or terminate the process that is doing so. This is such a fantastic tool seeing as how ransomware has constantly been on the rise, especially over this past year. Wardle has also released multiple open-source tools, encouraging users to download the programs through a Git website like GitHub. One of the more recent open source tools called ProcInfo is a tool that allows you to find a specific process and analyze it. 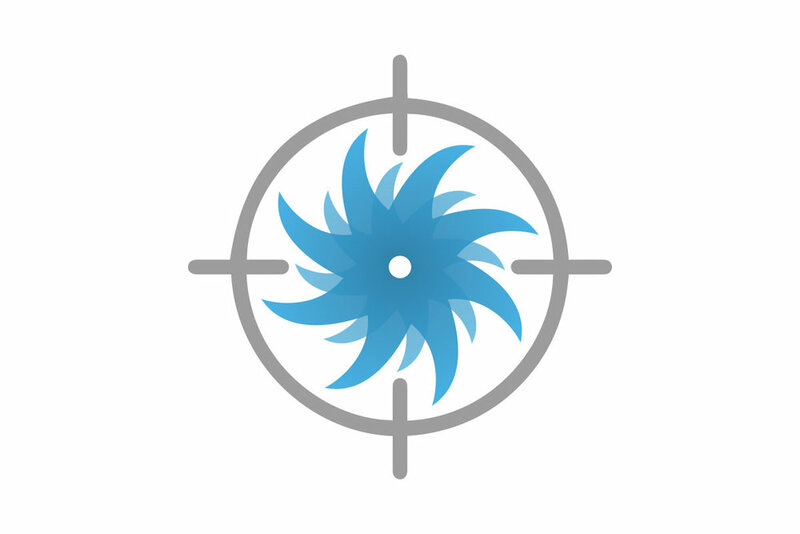 This allows you to trace what a specific process is doing to see if it is malicious or not. They have also produced an open-source program called LuLu that is a firewall. It will block any outgoing connection until it is approved by the user. I just recently started using LuLu, and I love it so far. Again, all of these applications are FREE. These are just four of the many tools that Objective-See has produced. I would highly suggest using them, and if you need help installing any of them, don't hesitate to let me know. These are applications that I LOVE. I don't get paid to promote any of these. In fact, the free tools by Patrick Wardle and Objective-See are on Patreon, and I donate to them monthly because I believe so much in the power of the products. To show you how much I like these, I took a screenshot of my toolbar, where you can see many of these currently running. Don't take Mac security for granted. All Macs are susceptible to malware. It's not to late to download applications. Again, if you need any assistance installing these programs or how to operate these programs, please don't hesitate to contact me either for a home visit through my House-Call page or a general questions through my Contact page.